Mississippi Senators wasted no time on the first day of the 2017 legislative session discussing a bill that passed last year, some call a mistake. It wasn't the typical first day of the legislative session. Democratic Senator Hob Bryan of Armory, decided to introduce a motion to change a provision in a bill that he says could impact public school funding statewide. Bryan says the measure that passed, bans school districts from contributing local and state funds to the Mississippi Association of School Superintendents--a group critical of shortfalls in education funding. He argues the bill was passed late in the 2016 session, in the midst of making typographical corrections in legislation, and wasn't fully debated. He's concerned the way the bill is written, schools could potentially lose funding. 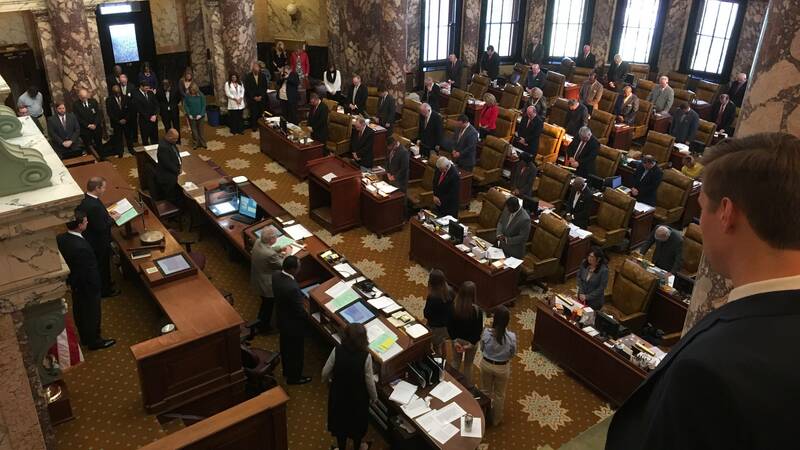 "That means that if any one school district in the state were to send $1 to the Mississippi Association of School Superintendents, then no money could be spent for public education out of the state treasury for this fiscal year," said Bryan. Byran says, the provision is an attempt to retaliate against the association. Republican Senator Terry Burton of Newton, is second in command. He says if a mistake was made, the proper way to address the problem is to send the bill to the Senate Appropriations Committee. "It's a bad precedent. I don't think it's a good idea. Let's go through the regular process, let the appropriation folks work on it as they always do and we can get this thing fixed if there is a problem to be fixed. We can get it done through the regular process. I would ask you to vote for my motion," said Burton. Senator Burton's motion passed. The bill will go to the appropriations committee for review later in the session.